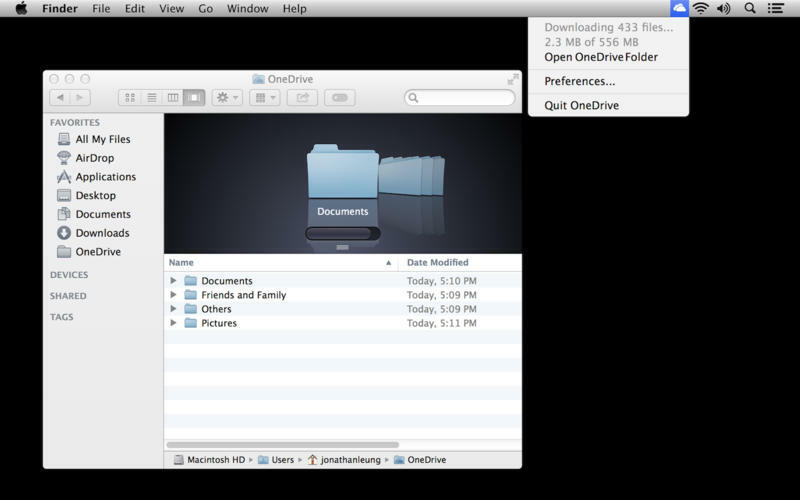 OneDrive(formerly SkyDrive) for Mac is the easiest way to access your OneDrive from your Mac. When you install OneDrive, a OneDrive folder is created on your computer. Everything you put in this folder is automatically kept in sync between your computers (Mac or PC) and OneDrive.com, so you can get to your latest files from virtually anywhere. Whenever you add, change, or delete files in one location, all the other locations will be updated. 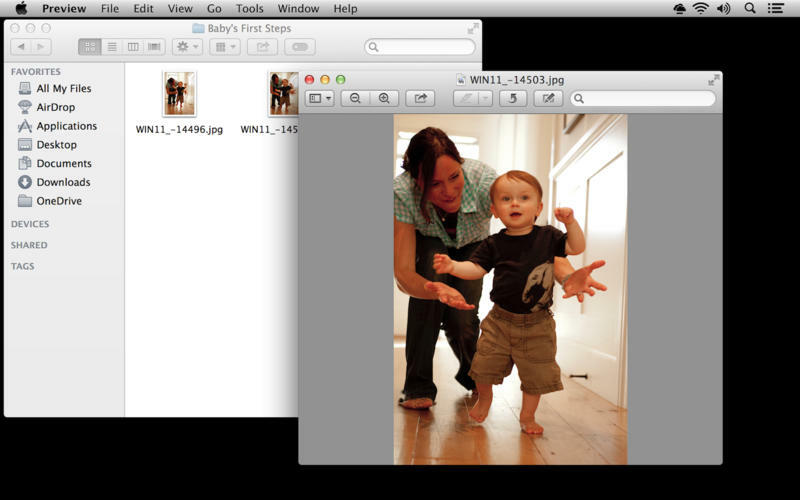 •Access your OneDrive right from the Finder - photos, documents, and all your other important files. •Quickly add new files to OneDrive by dragging them to the OneDrive folder. •Easily organize your files and folders in OneDrive, just like any other folder. 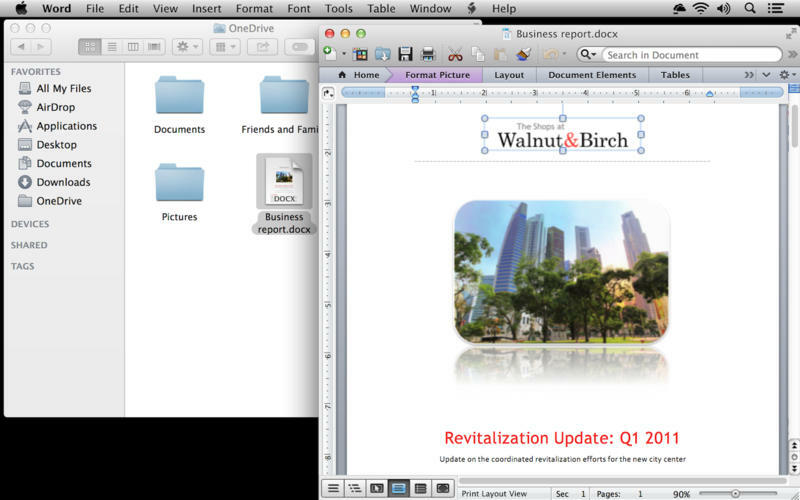 •Choose the folders in your OneDrive that you want to sync on your Mac. If you have previously installed the SkyDrive App, please remove the app from your applications folder.